The Association of Lorry Loader Manufacturers and Importers was founded in 1978 at the request of the Health and Safety Executive. Their main aims are to raise the standards of operators throughout the UK, to promote the safe use of lorry loaders and to promote compliance with training requirements embodied in current legislation. The operator course consists of 15 modules, spread over 1 or 2 days depending on experience (one day for experienced operators, two days for novices). Course places are limited to four people per course and can be carried out at your premises or ours. 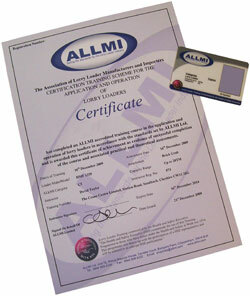 Once the course has been completed successfully, the operator will receive an identity card and certificate and be registered on the ALLMI database, as well as receiving an ALLMI operator manual to be used as a reference guide during their career. The card and certificate lasts for 5 years, and a one day refresher course and assessment must be taken after this time in order to renew the qualification. 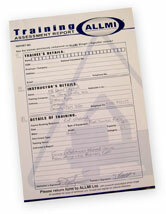 ALLMI’s training scheme comes from years of technical knowledge from its committee. In addition to the professional members of the committee, the Health and Safety Executive is also represented. ALLMI operator training is the only lorry loader training programme that is commended by the Health & Safety Executive.